he Milwaukee HD18 MS Metal Saw has a compact, ergonomic design to provide superior control over standard metal saws, reciprocating saws and band saws. 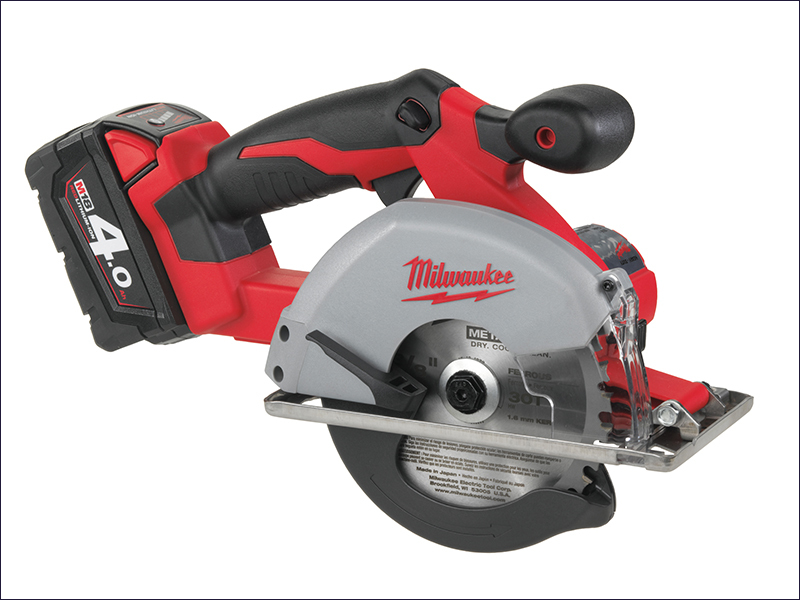 The Milwaukee® 4-pole frameless motor delivers 3,600/min for fast cutting. Tool-free depth adjustment quickly and easily adjusts cutting depth from 3mm – 50 mm with a 135 mm blade. A built-in LED light and large transparent window improve the line of sight for more accurate cuts. For excellent durability, the metal saw features REDLINK™ overload protection electronics in the tool and battery pack. No load speed: 3,600/ min. Max. cutting in steel plate: 1.6mm. Max. cutting in metal pipe: 50mm. Max. cutting capacity sections: 51mm.